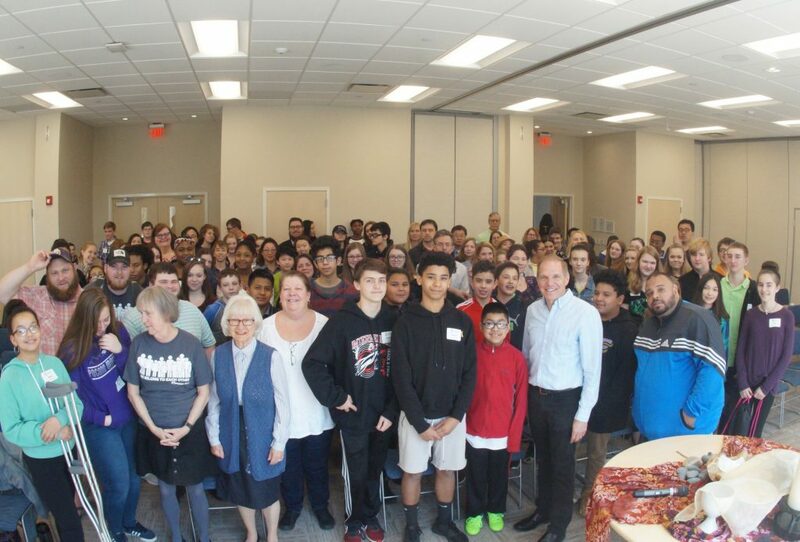 NEPTUNE – On April 28 GNJ confirmation classes were invited for a gathering at the Mission and Resource Center to meet Bishop Schol, enjoy , fellowship, worship, and learn together about what it means to be the next generation of Greater New Jersey United Methodists. Sonia Butler, one of the leaders from First UMC, admired what she considered Bishop Schol’s bravery in opening the floor for questions. “The maturity and sophistication of the questions and the wisdom in the answers was inspiring,” she said. For Desirae Ferrara, a First UMC confirmand, the best part of the day was meeting and seeing all of the other young people her age on the same journey of faith in GNJ. Ferrara was encouraged by Bishop Schol answering difficult questions. For many confirmands, it’s hard to get a sense of that body unless they have the chance to meet and interact with kids from other churches and church leaders. The day provided space for that interaction and gave GNJ youth a sense of what it means. .
During a Next Generations Ministries workshop for youth ministry leaders, leaders from different churches took time to share of the joys and challenges experienced in Confirmation this year. A small group of churches in the Skylands District has already started collaborating for their Confirmation program and has expressed blessings that have come because of it. Next Generation Ministries is working to facilitate sharing and collaborating through camps and retreats, student programs, workshops for youth ministry leaders and a network of college campus ministers.